Capable of supporting up to 8kg in weight, the MTL 8361B is lightweight and easy to carry. It has clips rather than twist grip locks on the legs – a preference for many photographers – and the main control dials are coated in plastic or rubber. A standout feature of the tripod is the centre column, which can quickly be adjusted to shoot at ground-level by merely twisting one of the control knobs, making it perfect for macro shots. There is no need to take out the centre column and reverse it. The leg extension locks are ‘pull and push’ operated and work smoothly. And there is a retractable hook at the bottom of the centre column to hook on extra weight. 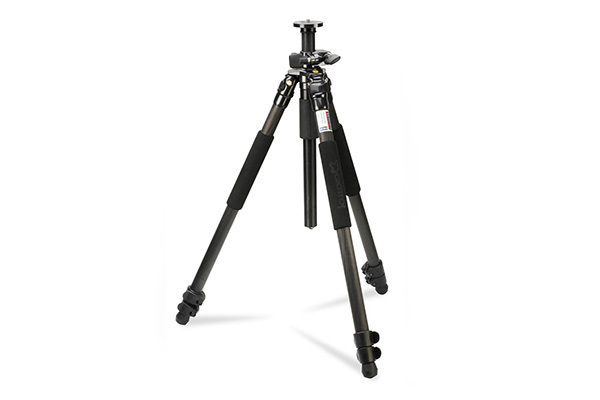 When fully extended, the tripod doesn’t lack strength and the spirit level on its neck will certainly help those photographers who want to produce panoramas. Fluid movement and solid design are the standout features of the MH1311-652C. With two spirit levels and prominent rubberised dial controls, you really feel in control. Friction control allows you to make minor adjustments without having to unlock the ball head completely. The top-plate is attached to the camera via a screw and is tightened using a ring on its base. While fiddly to do, the fact that the ring is attached to the screw means you won’t be scrambling around for loose change to tighten it with. The locking and unlocking device on the MH1311-652C is intuitive and allows for quick insertion – something that can prove tricky on some ball head and top-plate pairings. This review was first published in the May 2012 issue of Practical Photography - download back issues here.